4k00:22Funny children run around the green field in the spring. Childhood. Aerial shot. 4k00:30Aerial 4K UHD view. 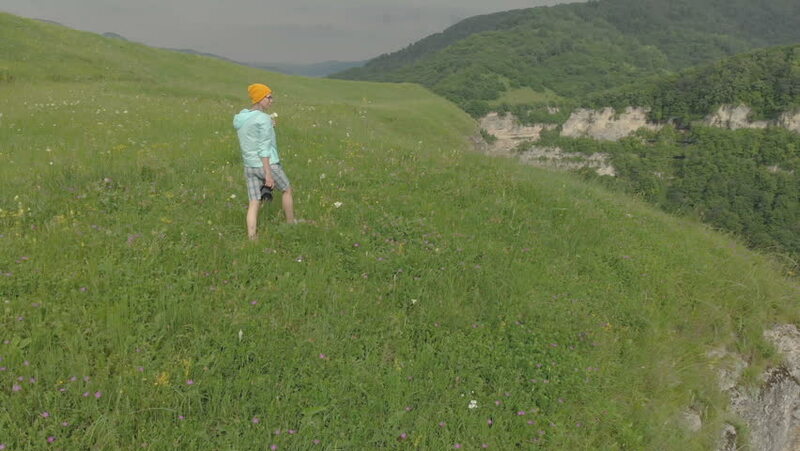 Low altitude flight over young man tourist walking across green mountain field. Huge rural valley and sunny meadow at summer day. Backpack hiking guy. 4k00:23Aerial children riding bikes in green summer field. Three boys cycling on bicycles in countryside. 4k00:21Happy girl run in daisy wheel spring flower field. Emotional and nature scene.